All this blogging – it takes a LOT of time and hard work to get results in terms of page views and earnings. When I had less time to devote to it, I had less views and less visitors, and this results in less views of my adverts and less clicks on my affiliate links. 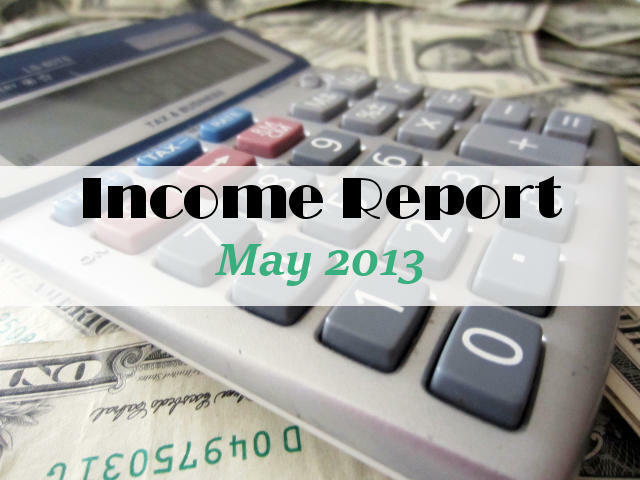 Blogging and earning is a numbers game – and I leaked numbers in May. Traffic at the start of the month was much higher than at the end. The Penguin update may have been to blame, or perhaps it was just my lack of input and promotion. Direct selling of advertising looks as though it may be promising for me for the sewing site. I updated my Advertising page and offered a few companies some free trial advertising to see how many readers might click. I gained a ‘featured sponsor’ for the month and I’ve also sold a couple of sidebar adverts right at month end which have yet to pay, so these will count in the income next month. BuySell Ads was a let down – no inquiries or sales from this service although I know that others have a lot of success with it. I usually make good money from Integrate and especially Escalate, but these dropped to virtually nothing this month as I had no time to look through their offers and add banners to my site. I usually add a banner, see how it works, swap it out, test that one, and keep things fresh with new offers. But this time, I had no time so opted instead for simple ‘set it up and leave it’ options with Rivit, Adsense and Lijit ads. I’ve seen over time that Lijit is paying a lower rate every month and is now the lowest paying CPM display on my site, so I dropped this at the end of May and will try to replace with sidebar advert sales income. I think this will give a more appealing look to the site as well as target the offers better to my readers, although I won’t benefit from any clicks. Except perhaps that the advertisers may continue to advertise if they get good results. Since my Adsense account was disabled and reinstated I’ve notice a considerable decline in the daily earnings rate. Adsense pay both CPC and CPM and the mix of adverts displayed on my site has changed drastically so that the majority of adverts now pay for display rather than clicks. But even so they were still the highest paying ad network for the month so I’m sticking with it, hoping over time the payments will return to earlier levels and that my account doesn’t get disabled again! My biggest disappointment is this site at Moms Make Money. I’ve got no solid idea as yet how to make money from it. I believe that it offers value to its visitors. I know that my level of content is aimed more are beginners than experts, but from feedback and emails I receive some people find that easy to understand information just what they are looking for. But in terms of earning money, it fails miserably. Just a few dollars from the total above were for Adsense and Infolinks on this site. I feel this site is all about both making money and saving money therefore I don’t like to promote products that you have to pay for and which might give me an affiliate income. And I don’t feel like I know what to sell here. What content/product/service would you pay for from this site or feel you were getting value for money from? Or should I just run this site at a loss and see it as a community service! Continue with private advert sales and if successful, reduce the number of banner display adverts from Adsense, Rivit and Lijit. Try to get back into more regular posting and newsletters, consider guest posting on other sites, and try to increase site traffic. Traffic target = 10% over last month. Income goal for June – $1000. This would be my target income from both sites for the month – I’d be satisfied with this level and wouldn’t feel I had to push offers too hard to reach this target. This should also give me a nice balance between blogging for fun, taking time away from the computer and working on earnings. Will update again in early July. Find all the info you need to replicate these kind of results on your blog in the subscriber newsletters – look through back issues in the Archive. Thanks for reading – if you have any comments or questions, drop me a message below this post, or send an email via the contact me page and I’ll be sure to answer. Have other blogging friends who might be interested? Share with these buttons – they’ll thank you for it. I definitely get ideas and find value in your site! You have figured out how to make money at this blogging thing much better than I have yet, but I use the strategies you talk about and it has helped me tremendously to get a handle on everything. I still wish I could figure out how you were translating such good numbers with your shareasale. I’m having no luck in that category. You inspire me! Thanks for all the info!! Will definitely help me along the way sorting through all the how tos! As a newbie to blogging I have found your site to be the easiest to navigate and understand. The links to other “build a blog” sites are helpful but I find myself back at this one. One of the most helpful aspects for me is how you started from the beginning, explain it well, and go from there. Although you aren’t happy with your May results, they too are an inspiration. It won’t always be easy, and there will be glitches (like work and schedules) but when you know others experience similar patches it makes them easier and part of the business. That’s incredible! It really does add up. I still haven’t delved into advertising, but you’re making me seriously consider it! 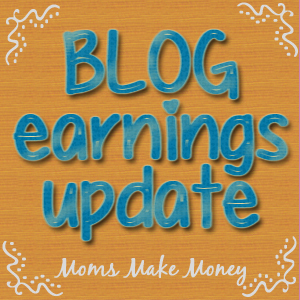 Deby- You’re blog and the information you share has tons of value for all levels of bloggers! I’m fairly new and love getting your newsletters. I’m liking and pinning your site with recommendations as a must read! Hope it contributes to better numbers for all categories next month! I certainly hope you continue with the blog. Why not recommend good books about blogging and online marketing to help with your affiliate sales? That would be something I would buy. I have also learned so much from this site. Your story is so inspiring to us new to blogging, and I am continually amazed at what you have accomplished in such a short time! Thank you for sharing with us. I appreciate your helpful info here Deby. It seems you have a decision to make and the question is…why did you begin this blog to begin with? How many bloggers do you think begin blogging to make money? I’m sure that number has changed since there is an appearance that everyone is making money with their ads. With ‘working’ again, how did you manage to keep linking up? It takes a lot of time to do that and provide a back link. Just staying on top of the schedule. And so many parties vary in their start times from week to week. It really takes up a huge chunk of time that could be devoted elsewhere. Your traffic numbers leaped in April, and still increased in May, I’m not sure what you mean by ‘leaked numbers’ here. Had you not been working do you think they would have increased the same percentage from April to May as previously? You talked about the balance. If you took away all the link parties…what do you think would happen to your numbers? Link parties are not fun to me. They have increased my traffic…but if I don’t party my numbers do drop. The other question is….has your subscriber numbers increased in similar measure to traffic? I think I missed this Deby, but when did you start blogging? I’m impressed with what you have learned and your ability to share it so well. Thanks for the tips, your transparency, and for taking the time to share. p.s. When I went to sign up for Rivit…it seemed that their policy was that they were to be a sole advertiser. I stopped right in the middle of the process when I read that. Obviously you have many advertisers. Love to hear your thoughts. I’m also wondering about the “leaking numbers” comment since it looks like your traffic was actually up in May? Was there a typo somewhere? Anyway – I’m inspired by your success with the sewing blog, especially all the sales via Sharasale. I’m signed up there, but don’t yet have the traffic & clicks to be making much money, but I think it has potential. I like reading your articles on this site, and I’m not sure what the reason is that it isn’t making money. Some products that seem like they’d fit are online tech/marketing classes or ebooks, web design/hosting, graphic design/logo design services, things like that – tools that are related to blogging, even if not directly related to monetizing a blog. Although traffic overall looked a little up in May, over the month the traffic declined from very high earlier on, to much lower in the later half of the month. So unless I can get a boost in this month, June will be lower than May. Yes, I must try to find some really good products I think are worth investing in. Certainly hosting is one, and ebooks is another good suggestion, and I’ll look into some tech classes too. Sometimes I just don’t like to ask readers here to buy things! Definitely pinning this! I am co-hosting Diana’s Pin Me party this week and I would like to invite you to also link up at Party In Polka Dots which is LIVE right now! The key is time–I believe. You cannot give up. Good job! Hi, I’m stopping by from Market Yourself Monday. Love your blog, I’m now following you through Bloglovin’. Thanks for all the usful info! Hi Megan, thanks for taking the time to comment. I’ve added the link to your party – love the new blog design! This is very interesting! I found you on Cast Party Wednesday’s and I just signed up for your newsletter! Welcome to the team Nisa – great to have you on board. Just wanted to say that I have found your blog to be very interesting and helpful as well! Deby, Thanks for sharing this at ‘Or so she says…’! What a great article. Can I ask, regarding Share a Sale, where do you primarily put their ads?? Sidebar, within posts, social media?? Which locations have brought you the most success? My greatest success has actually come from not displaying the advert at all, simply using a text link naturally as part of my writing. Its worked well in my newsletters too when a company for which I am an affiliate has a special offer which I can promote. I’ll be posting an article shortly – An affilaite case study to talk through my suggestions for success.. Thanks, Deby! Let me know when you get your post up! It’s up today – you can find it on the front page. I think its mostly common sense but perhaps you can pick up an idea or two. I have a new post on the site – How to earn with Affiliate sales – a case study. This should help you get ideas of how affiliate selling can work best. I have never heard about the service share4sell and I see that’s the biggest part of your blog income. Thanks for the tip. Wish you good luck to future. Congratulations for your earnings, and am glad that i met your blog, and you have a cool design here. Am just going to read the new post.